TJ media Star Karaoke - Hello! Welcome to my blog! LEADING KARAOKE MANUFACTURER TJ MEDIA has won the hearts of karaoke enthusiasts the world over with beautiful sound and innovative functions. At home, it recently launched new, fun and exciting products that Pinoy karaoke users immediately embraced. Pinoy consumers will surely love a good buy in the most affordable hard disk drive (HDD) karaoke player in the market today. Being Korean made assures the public of superior quality and advanced features that the TJ media brand is known for. TJ media uses Smart Card technology for convenient monthly song updates and uploading of videos thru the internet. Whatever hot new song in the airwaves, TJ media is sure to be the first to load in its karaoke players as a commitment to customers. Or the user himself could easily upload his own choice of songs, videos and even full-length films with a large 500 GB multi-media memory, 200 GB of which is at the user’s immediate disposal. Add to that are unique personalized functions like unlimited song recording to create your very own record album. Listen to your own song or use your own personalized videos as background. With the use of an optional spy camera, you can also project the event as background video as it happens. TJ media Star Karaoke is available in leading appliance stores nationwide. 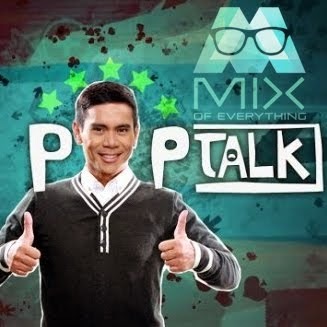 Exclusively distributed by Soundmax Media Marketing Corporation. For inquiries, please call 254-9072 or visit its website at www.soundmax.ph . You can also like TJ media on Facebook. 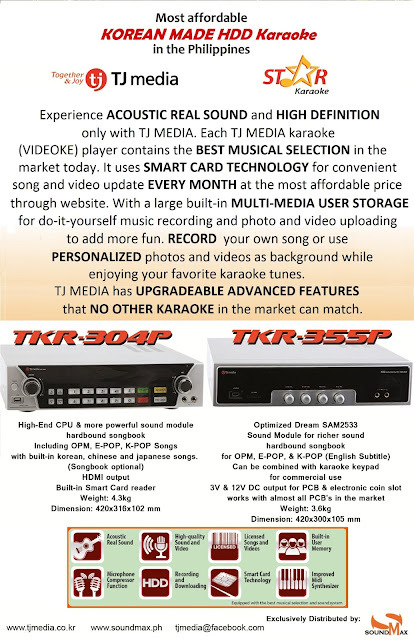 Sing like a Star and record like a Star with TJ media HDD karaoke player. Sa TJ media Star Karaoke, Ikaw ang Bida!